Discussion in "Project Help" started by kks Feb 18, 2018. Your Proteus simulation does not have an LCD display. 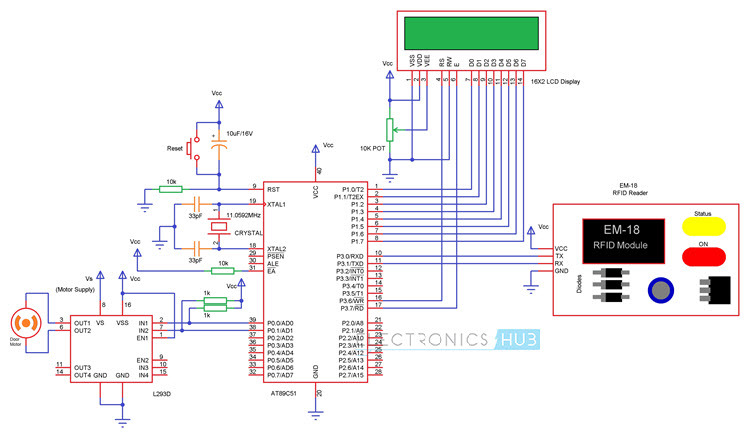 (all 8 data pins connected), as programming is easier. I don't understand. I do have a LCD with all the pins connected. 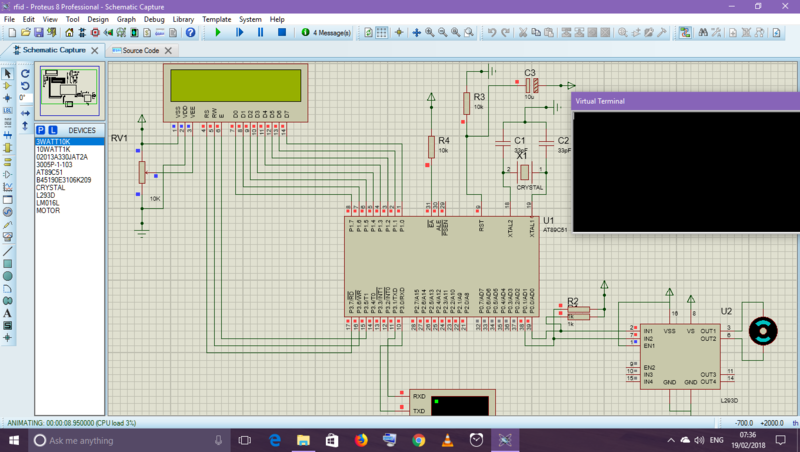 I followed the circuit diagram to make the project. I have attached images. You can see that the LCD just lights up on simulation and then nothing happens even if you type on the terminal. The file you posted is not the one shown in the images. It only contains an 8051. You have reversed the pins on the display. Your code is for 4 bit mode, but should work anyway. it is more common, and easier to use a solenoid. >quite on the verge on loosing my mind here. I am sorry, i didn't checked the file just copy pasted it from Documents. I have reposted the file now. I did as you said and connected the pins as you wrote, and there is now light blinking so i guess you are correct, still there is nothing being displayed on the LCD. But now the Terminal isn't even coming on my Simulation, could be because of some bug on my Software, has happened before. 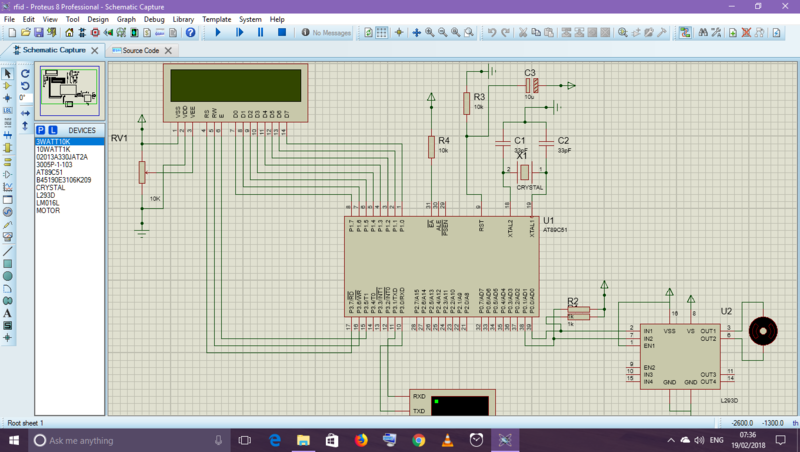 I am quite a noob in this subject, don't know what a solenoid is, but i can't use that as i have already purchased the motor driver module. Anyways thanks a lot for the good words at the end, you are the only one who has replied nicely enough, as i have posted on one or more forums and haven't got a reply yet. Seriously you are great! there is something wrong around the supply to R1,R2 and the L293. A minor point, you selected 3 watt and 10 watt resistors. In reality 0.25 Watt would be used. Thank you so much. It works properly now.